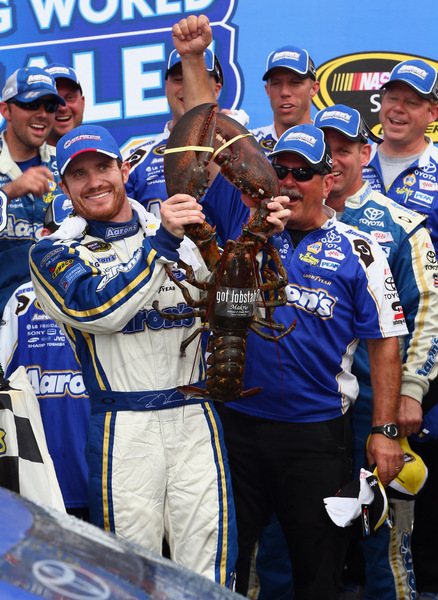 In a highly emotional finish, Brian Vickers capped a stirring career comeback Sunday, and all but clinched a full-time ride for 2014 with Michael Waltrip with his late-race overtime charge to victory in the crash-filled New Hampshire 301. Too bad Waltrip himself wasn't here to see it all. Waltrip is in England for the Goodwood Festival. Vickers' win was a popular one in the Sprint Cup garage, and several rivals pulled up along side him after the checkered for congratulations. He shares this ride with Mark Martin and Waltrip, and this was only Vickers' fifth start in Waltrip's Toyota. But the hot afternoon, with blazing sunny skies, and sizzling tire temperatures, wasn't kind to Kurt Busch and Tony Stewart. There really wasn't much drama in the 3-1/2-hour race, few green-flag passes for the lead, even with 12 cautions and those zany double-wide restarts. Down the stretch late-leader Stewart was saving fuel desperately, and he was forced to give up the lead to Vickers with 15 miles to go. Stewart then ran out just moments after the final restart, and Vickers easily pulled away for his first win since the summer of 2009 at Michigan. 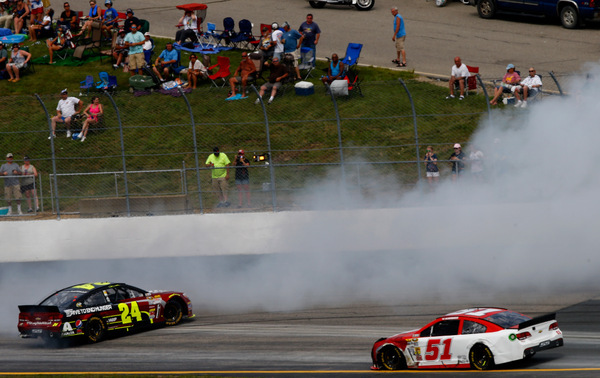 "Gosh, the last person I wanted to race on a green-white-checkered was Tony," Vickers said. "We've raced each other hard over the years (so memorably in the summer of 2011 at Sonoma). And I knew he would race me probably harder than anyone else. But I knew he wouldn't wreck me." And Stewart did give Vickers a thrill on that last green....seconds before running out of fuel. "I think all of us were spinning our wheels on that restart, and I've got to thank Jeff Burton for pushing me into turn one," Vickers said. Stewart wasn't happy at his finish. "It's hard to calculate how much we are saving on the cautions," he said, of the four yellows between his last pit stop and the finish. "So I thought we were about three-quarters of a lap to the good, before that last caution. "Obviously didn't get saved as much as I thought we would." Stewart knew Vickers was strong. "I knew if he got by Kyle Busch we were going to be in trouble. He had been able to stalk Kyle for a really long time. And it was hard to stay that close to somebody for very long. "I knew when he got by that we were in trouble." This win, in a large sense, completes a career-saving comeback for Vickers, who was sidelined midway through the 2010 season with a strange illness. He came back for the 2011 tour, but didn't appear on his game; and when sponsor Red Bull pulled out of NASCAR at the end of that year, Vickers and his career were stranded. Waltrip picked Vickers up, as part-time teammate with Mark Martin, last season. 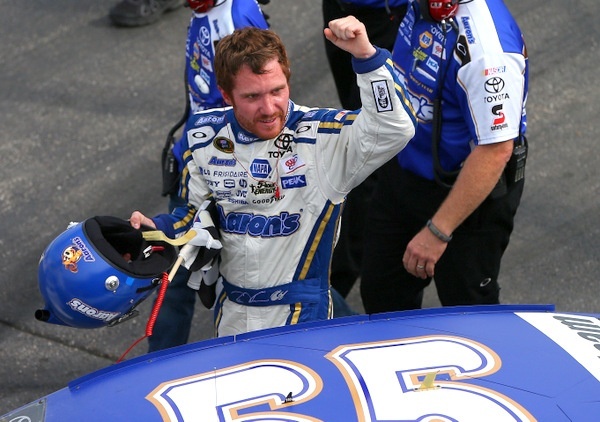 And Vickers was quickly back in form, with three top-fives in his eight starts. This year again Vickers is part-time. But a full-time job with Waltrip could now be "a done deal," crew chief Rodney Childers says. "All I can tell you is wins can resolve a lot of business issues," Ty Norris, Waltrip's team manager, said. "That's where we want to go." "You wake up one morning and you're just hoping to be around the next...." Vickers said, his voice with emotion. "With everything I've been through the last few years...with the blood clots...just to get back in a race car was an achievement. "Everyone around wouldn't let me give up on myself. They believe in me sometimes more than I even believe in myself. "And being able to win, after all that, is almost unimaginable. "For the first time in my career, everything right now clicks as good as it ever has in my career. I feel I can win a championship with this team, with Rodney Childers, and that's our goal." Vickers had an opportunity last season to run full-time for another team, probably for more money, but he said he turned that down in order to run last year's six races with this team. Kurt Busch dominated much of the race but then got tangled up in a three-wide with Matt Kenseth and Ryan Newman and crashed on lap 226 of the 301-lapper. Though Kenseth insisted it wasn't his fault, Newman, after looking at the replays, said Kenseth "did have a hand in it." Busch said he got hit from behind, by Kenseth, and that's what the replay appeared to show. However Busch may have been overly aggressive in his own move passing Kenseth on the inside into the corner, where the incident occurred. Newman was on the outside. Busch held his temper in check, but Newman didn't. "I didn't expect to get hit....but I remember who hit me," Newman grumbled. 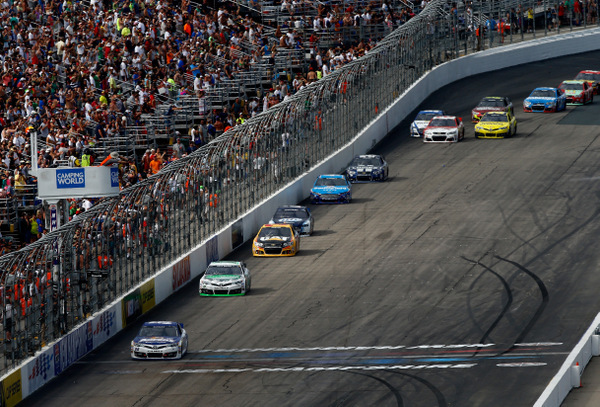 When Busch fell out of contention, the race appeared wide open. Stewart, with some gambling pit strategy by crew chief Steve Addington, sneaked into the lead, and he held it against all comers. As fast as these new 2013 stockers are, clean air is a big advantage for the leader. Kyle Busch said once his brother fell out he felt he had the fastest car, but said that it was simply all but impossible to pass. Stewart's long season of hard luck appeared turning dramatically the final hour, when he got the lead. But a late debris caution and a green-white-checkered overtime finish proved costly for him, when he ran out of gas. So instead of a victory that would have been a big boost to the three-time champion's hopes for making the playoffs, Stewart wound up 26th. One of the day's big surprises was Jeff Burton, who hasn't had a tour win since 2008. "Kurt clearly had the best car, but after he had his trouble, we felt that opened the door," Burton said. He wound up third, his best finish of the season, and his best since a second a year ago at Daytona. However not only was passing difficult during the race, the outside lane for restarts was far preferable to the inside lane, no matter who the leader was. When Vickers took the outside lane for the final restart, Kyle Busch, behind Stewart on the inside, figured he was done. 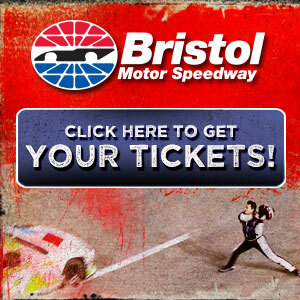 "I felt we were the fastest car, especially on short runs," Kyle Busch said. "But we didn't have a chance, with Brian restarting in the outside lane. And then I almost wrecked with Tony when he ran out of gas. "It was just so hard to pass. You've got to get all you can get the first couple of laps after a restart. "Even Superman didn't pass today....at least not to the lead." That was a reference to Jimmie Johnson, who had to start dead last, penalized after Friday's inspection problems. Johnson never got to the lead but wound up sixth, in a hard-fought run. "Once you get in the top-10, it's a different game," Johnson said of his charge from the back. And, all things considered, with so many of his top rivals sidelined or handicapped during the wreck-filled race, it was a triumph for Johnson. The day was another short-track disappointment for Ford teams. Since Toyota joined the Cup tour in 2007, Ford drivers have won just five of the 64 short-track races, while Chevy has won 36 and Toyota has now won 21. Keselowski, Ford's only real player Sunday, started from the pole, led 14 laps, and was fifth for the two-lap shootout, in position to be able to make a move. But Keselowski couldn't make anything happen. Tires were a surprising issue. Low air-pressure bit Joey Logano and Denny Hamlin, just as it bit Juan Pablo Montoya and Jamie McMurray in pre-race practice. As much as pressure builds up during an 80-mile run, teams like to start with very low air pressure, so low the tire sidewalls are actually wrinkled. Too low, however, and the tire can destroy itself.